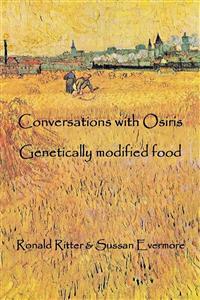 Take a short stroll through the universe as we ask about genetically modified food with our non-physical identity Osiris. Gain insight into how genetically altered seed can in the wrong hands be toxic to human, animal and plant life. Look at the scientific evidence provided by many established researches and organizations then make your own decision about the impact certain genetically modified food will have on our world. We do not seek to impose our discussions or concepts onto you. It is your choice alone to pick up and read the material, this is your journey and self created world. The universe teaches non judgement and non interference in human life, except to provide assistance and guidance when requested.